In last week’s blog we took you through some tips and thoughts on how to get your skin and make-up looking perfect for your big formal! Next stop is making sure that you look drop dead gorgeous in your outfit! Remember that you don’t have to follow trends where the dress is concerned – you should choose a dress according to what makes you feel comfortable and confident. Don’t feel under pressure to show off your shoulders in strapless or your back in backless if that makes you feel self-conscious. Admittedly though, you had probably chosen a show-stopping dress or perfect suit almost as soon as you put the date in your diary so now you just need the best tips on how to make it look as good as it possibly can! None of us can guarantee that we have picture-perfect skin on the day but what we can do is take action to prevent a breakout as far as possible. 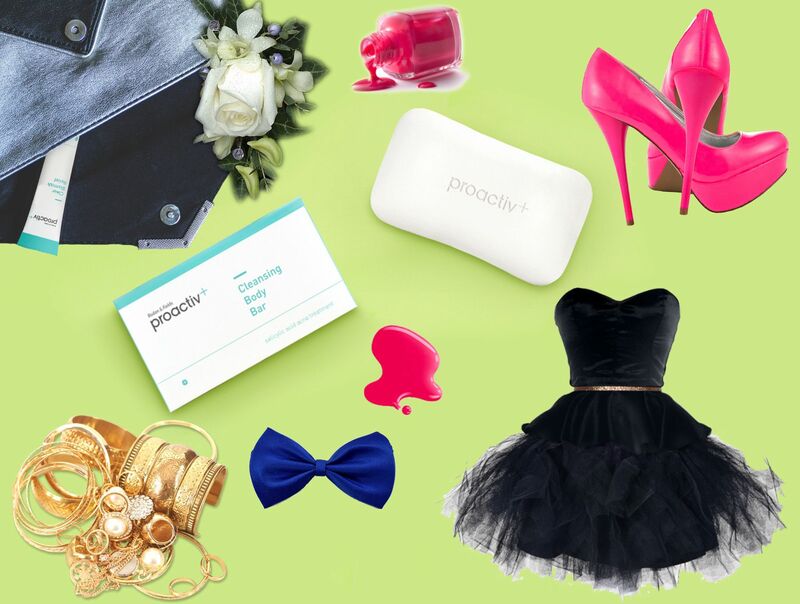 If, like many teenagers you suffer from acne in places other than your face, then join us at Proactiv in the backless ball gown bacne (back acne) battle! There are ways to ensure that your whole body looks brilliant. For those of you that prefer washing with a bar of soap, the Proactiv+ Cleansing Body Bar is a soap-free bar derived from coconut oil with gentle exfoliating beads that clean pores and its deep-cleansing, exfoliating, lather-rich bar fights face and all-over body blemishes. Loved by beauty heaven who awarded it a 5/5 star review http://www.beautyheaven.com.au/skin-care/brands/1411-Proactiv-, this is a great way to clean the body. softer, pore-less and instantly more radiant. Skin is left feeling clean and hydrated, not dry and stripped. The last thing that you want for your back’s debut is an errant pimple to pop up on the big day so if a spot pops up on your back then target it with Proactiv+ Clear Blemish Relief. This invisible spot treatment with 5% benzoyl peroxide has been designed to attack problem pimples. How about making your body feel even more beautiful with a self-tan? Tanned skin always looks better – it really adds to the illusion of the body beautiful. There is no need to damage your skin getting a real suntan when ‘fake it until you make it’ is the best approach to maintain clear healthy-looking skin. Our beauty and skincare blog is here to help you to look and feel your very best. We want to make your formal one of the best nights of your life and a little bit of pre-event prep goes a long way! Come back again next week for more advice and tips on getting the best out of your formal.